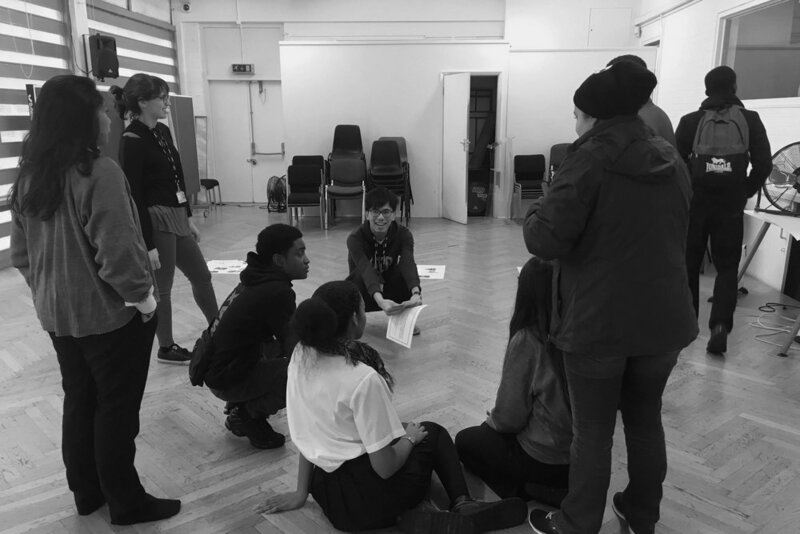 This project collaborated closely with Young Lambeth Cooperative (YLC), and aimed to look into the context of youth development in different areas of Lambeth. 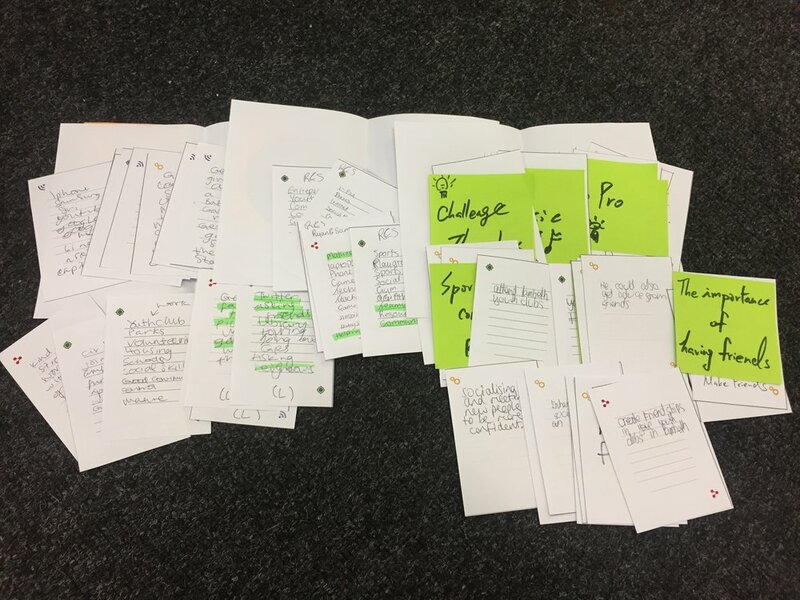 In the course of project, research team contacted a large number of service providers and organizations involved in the services provided for young people in the North Lambeth area. 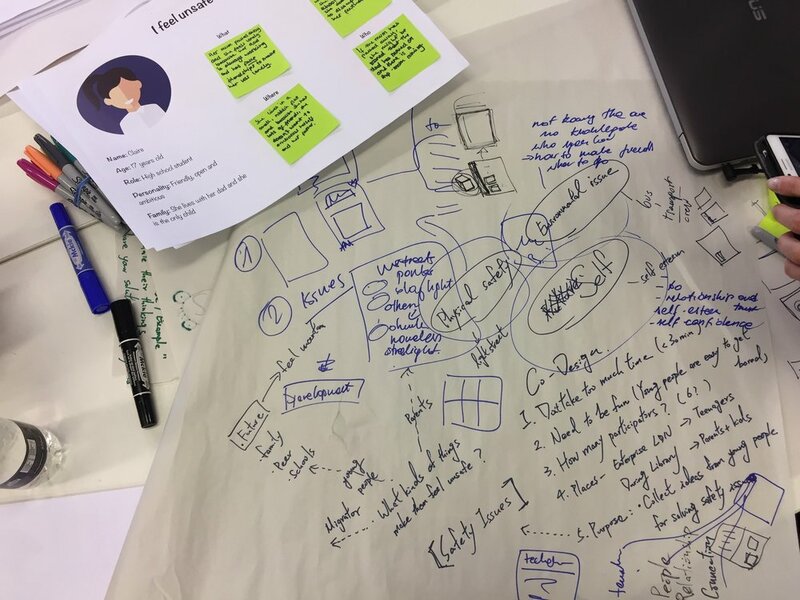 We used service design tools, methodology, and mindset, to shape the picture of the reality of everyday life of young people in this particular area. 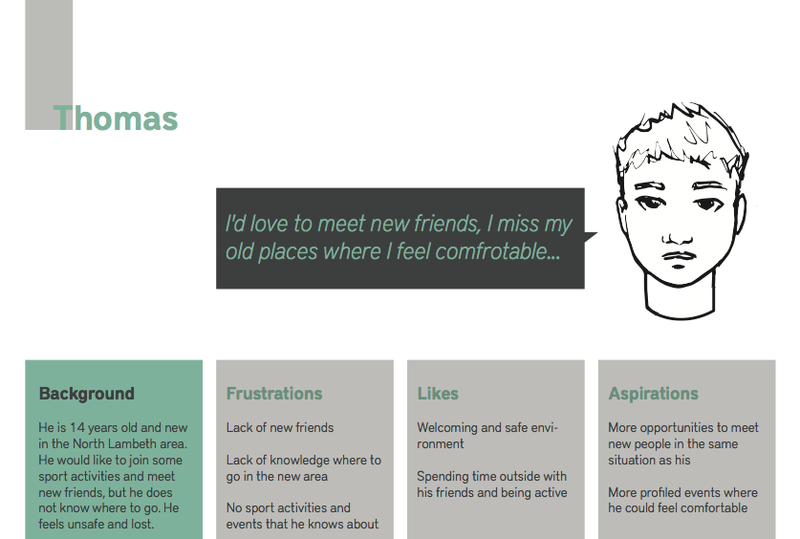 The stakeholders map showed us that there are some areas in North Lambeth that are much more developed than others, in terms of services provided for young people that they themselves can find attractive. It gave us a clear picture of most of the opportunities (or their lack) for young users. Each point stands for the places we have visited and the radius of point means the scale of influence of this place on the local environment or community. There are different voice from local people about safety, but all of them are looking forward to having a safe environment. Young people within the North Lambeth area are usually more exposed to crime - either to be a crime victim or to be involved in a crime. 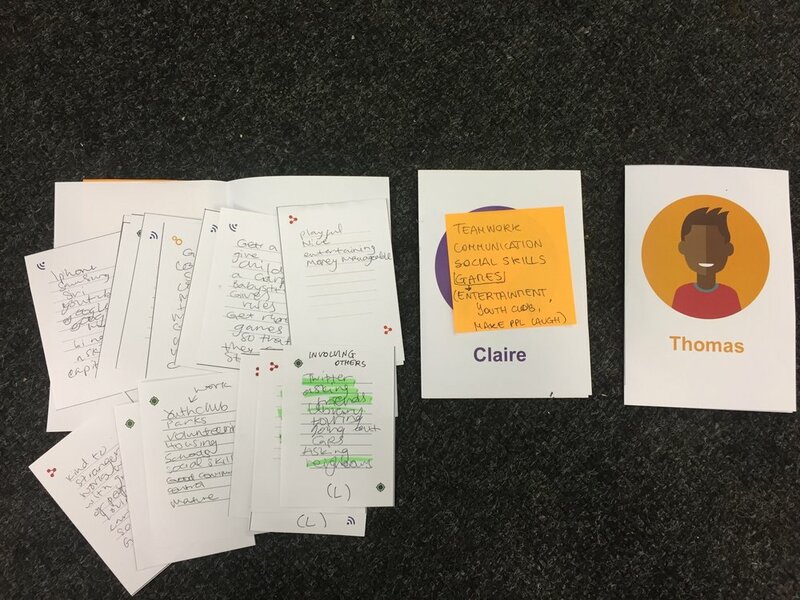 ‘Support for a job’ was ranked highest in the exercise by the participators of North Lambeth Development Consultation held by YLC & Lambeth Council, following by ‘Provide youth activities’, ‘Enhance community feeling’ and ‘Provide inclusive places’. Every child has a different background and religion, they can learn social exchange, teamwork skill, trust, and also include disabled mates in their life. Young skaters come here to meet their friends. There is time for skating and time for resting when they can have a chat and eat something. Most of them are lack of awareness about services and activities in the area, relationships with their family are often weak, and many are not confident english speaking. The safety in the area of North Lambeth is a huge issue and there is a strong need to feel secure, comfortable and confident in the places that people visit. That aspect brings also connection to the level of self-confidence of young people, which unfortunately, is very low. The value of play and fun was well presented in many events, using a positive, flexible, and engaging approach, it was possible to engage young people and use fully their potential to cooperate. This leads to a better preparation for what is about to come in the future – being independent and have enough qualifications to get a good job and feel comfortable in the job market. This aspect includes all the safety issues that involve physical reactions, and physical safety. Streets, parks, people walking around, day light, day of the week – these all influence the physical safety feeling of young people in North Lambeth. Besides, it is important to remember that the general crime level is going down in this area, but the small crime level especially amongst young people is going up. From most of our interviews it became clear that the general level of self-esteem is unfortuna- tely very low. Children and tee- nagers are not confident enough to talk about their problem by themselves, they feel overwhel- med by the number of rules they need to follow at school or at home, and they are struggling with finding positive aspects of their character, or their skil- ls. They tend to underestimate themselves and find it uncomfor- table to meet new people. There is a large number of chil- dren and teenagers moving in to the area of Lambeth. Most of them feel lonely because they don’t feel comfortable enough to find new places to go to, or to talk to people who are not their friends. The need to develop new and strong relationships wi- thin the new community is very strong, but because there is no service that could help them in the new area to feel more fami- liar most of them feel lonely and are frustrated, which is another aspect of feeling unsafe. 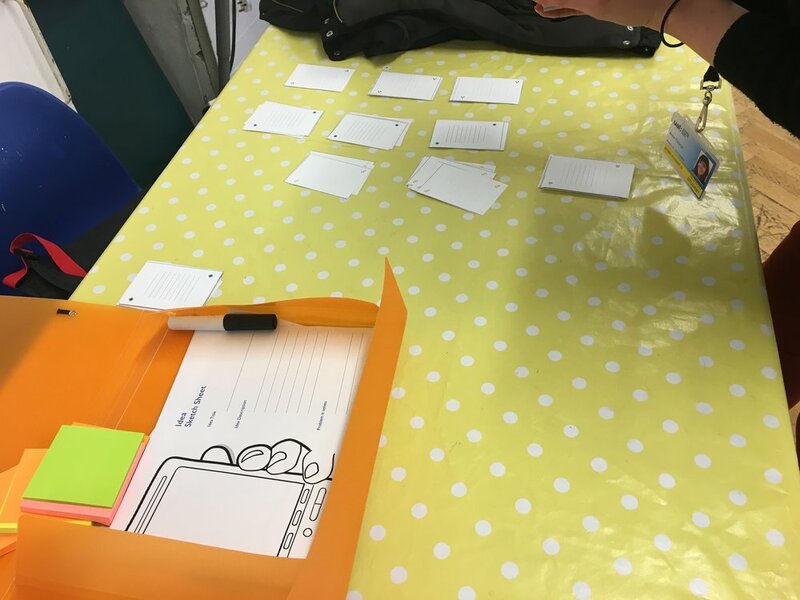 We held Co-design activities in Lansdowne Community Centre with six talented young people. Their age range from 15 to 17 year old. We divided them into 3 groups, and each group got one persona for reference. Their mission for them was: Come up with creative ideas for supporting this person (persona) to deal with his/ her safety difficulties in daily life. We encouraged them to be free in ideation sections. 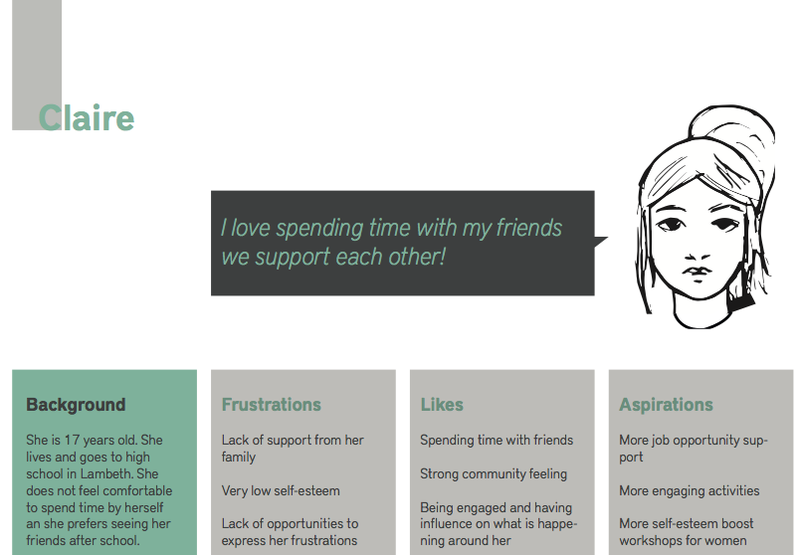 From the ideas that young people came up with, we identified that the importance of relationship is very high amongst young users. We also collected some useful information for approaching young people. Music, sports, or games were the keywords they wrote down on the idea sheets. Moreover, they created and came up with some surprising ideas which were beyond our expectations; for example: one boy said that young people need to leave their comfort zone and try to build new relationships with more people.